Scott Kaplan, Senior Director of Project Development Pharmadule Morimatsu Inc. US. The article will identify the challenges to getting a new biomanufacturing facility through design, construction, and start-up in a timely manner-Balancing the financial risks of committing to a capital project too early with those associated with not getting a treatment to market to help patients. I will present a solution, leveraging the advantages of single-use process equipment and modular design and fabrication, to streamline the delivery process while enhancing predictability and mitigating risk. As with all technologies today, the advancements within the life sciences industry are accelerating beyond what any of us have experienced in the past. Every facet of our industry, from early drug discovery and development, through human trials and commercial manufacturing, are evolving at a rate that was unthinkable a decade ago. What was considered cutting edge innovation and accepted to be the future of biotech production just 10-15 years ago is now antiquated and thought to be unusable and ready to be shipped off to the local museum as an exhibit to show what was happening in the Biotech Stone Age. The focus of this article is to trace a history of manufacturing innovation over the last 15-20 years. Starting from a point in time when many biologics were being approved and companies were frantically attempting to accelerate the timeline for getting additional capacity on-line to meet patient demands, through a period of overcapacity and product rejection, this article will examine how we arrived at today?s drive to downsize and decentralise production. The approach to meeting demand for the manufacturing of new products is balanced by a need to create flexible manufacturing so that new products and process platforms can easily replace the equipment that is no longer needed. While biological based treatments have existed in the pharmaceutical industry since the first experiments with Penicillin nearly a hundred years ago, it has been much more recent that research has increasingly turned toward living organisms for treatment of disease rather than the traditional reliance on chemical synthesis for most cures. Over the last 30 years, more and more investment has been diverted from the small molecule to biotech research. This has led to the explosion of new products that have become available to diagnose and treat as well as prevent many diseases that previously had no treatments. The production of these new biopharmaceutical products is significantly different and more complicated than a chemical synthesis. The equipment used is different. Instead of reactors, blenders and compression equipment, there was much more control required with fermenters and bioreactors, centrifuges, columns and filters and the final dosage forms were mostly temperature sensitive liquids that required aseptic conditions for filling. The new and more complex processes also brought dramatic changes to the facility requirements. The targets of the initial new biological treatments were wide spread diseases with large patient populations. When these treatments were successful in gaining regulatory approval, the combination of the price for the treatment and quantity of annual doses made them blockbuster drugs. To satisfy demand, so that every patient that needed the treatment could have access, large facilities were built driven singularly by ?speed to market?. Some open processing driving the facility design to the use of clean rooms for downstream processing. The timeline for getting one of these facilities from concept through validation was in excess of 60 months and project costs ranged from US$250million to more than US$1 billion. The price was not a deterrent in building a new facility because the firms that owned the rights to the approved product had exclusivity for an undetermined period of time. While exclusivity for a chemical entity lasts for 17 years before facing generic competition, there was no approval process for the generic equivalent of a biopharmaceutical. Once the product was approved, it had an unlimited period to generate exclusive revenues. One problem that did exist, however, was the timeline to get additional capacity. If a company waited for an approval to begin building a new facility, they could potentially be unable to keep up with patient demand for the treatment and lose years of revenue until gaining licensure for the commercial capacity. During this time there was very little excess bio-manufacturing capacity that could be contracted while completing a new facility. This led some companies that were in development or the clinical trial period for a promising new treatment to take a chance and start building one of these traditional facilities early to ensure that once a product gained approval, they would have ample production capabilities to meet the commercial market requirements. Unfortunately for some, their products did not survive in trials and they were left with capacity for a product that was not approved. Some companies benefitted from this new unused capacity. The companies with the facilities began offering to contract out the excess production and companies with approved products now had a place to manufacture until they could bring their own production on-line. Another factor that provided excess capacity was process improvement. Through improvement to equipment and controls, along with enhancements to the robustness of cell culture lines and feed strategies, the yield per batch was improving, providing product with higher titers .Finally, as biotech research expanded, more diseases were targeted with smaller patient populations requiring less annual production. Both the reliability and availability of disposable components were improving. From some early 10 liter to 100 liter bags, the technology has grown to provide complete trains utilising 2000 liter single-use bioreactors straight through harvest, purification and final dosage filling. With improvements to healthcare in emerging countries, these locations have become a target for expanding the market for these biopharmaceutical treatments. With little experience building these highly complex facilities, new project delivery methods for these locations were required. Over time, these factors have led from the traditional large volume single product facilities to what is today referred to as the Facility of the Future or Production of the Future. Many companies, including architectural and engineering firms, original equipment manufacturers and consumable component providers are promoting facility designs that incorporate most or all of the characteristics listed above. The remainder of this article will focus on one such design. Pharmadule Morimatsu, which was introduced at the Biotech Concept Facility in 2012 and since then has been providing designs and project delivery services to many of the largest and most dynamic biopharmaceutical companies in the industry. Re-locatable if production was need at a different site. The key to providing the level of flexibility required in today?s bioprocessing market is modularisation. By leveraging the quality and streamlined schedule derived from modular delivery, the Biotech Concept Facility, has succeeded in providing a low capital alternative for bringing production in-house. The use of facility modules maximises the adaptability to any local conditions. Entire functional modules can be added or removed based upon the availability of utilities, admin and warehouse space or the need for additional product expansion. While there are standard sizes for these areas, the equipment is chosen based upon the end-user preference and production requirements. During the design, the equipment, both for the process and support systems and utilities, is specified and the layout is developed to be able to deliver everything in the Pharmadule facility modules. The modules are fabricated in a clean assembly environment and any non-portable equipment is installed in the final location within the facility. This allows for Factory Acceptance Testing of an entire production plant to ensure proper operations before shipment to the project site. The maximum use of disposable components has been an important factor in optimising the delivery time and capital cost. This has also helped to eliminate most of the expensive clean utilities use for CIP and SIP of stainless steel equipment. The standard is designed to operate using SUBs from 500 liter up to 2 trains at 2000 liters each. 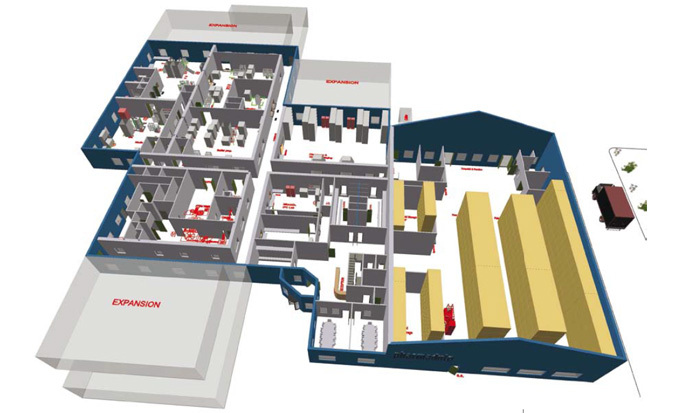 This provides a facility that can efficiently manufacture materials for clinical trials and easily be reconfigured to meet launch and commercial product demand. It has been designed to operate as a multi-product facility, either simultaneously utilizing two trains for two separate products or campaigning with quick change-over between product runs. 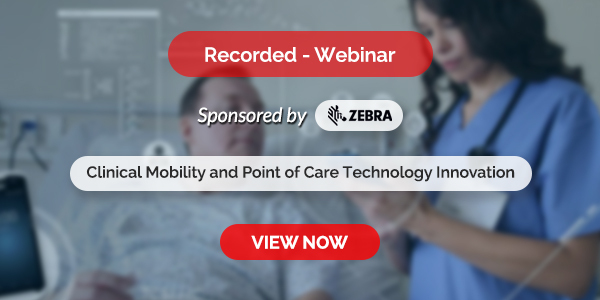 The facility flexibility extends beyond the process area itself. 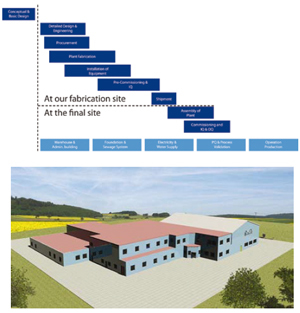 As described above, the modular facility can form an addition to an existing manufacturing building, utilising existing utilities, and other support services. The design, however, has been extended to include any utilities the process requires, both plant and clean utilities as well as QC labs, warehouse and administrative space. The design can also provide an aseptic suite for downstream final dosage filling. This provides a turnkey solution for biopharmaceutical production that can operate in any global location. 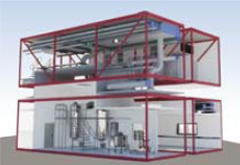 This modular biotech production facility has all of the features found in a conventionally constructed plant. It is a two-story structure with the lower level for process and the upper level used for any utilities and piping distribution. Total area would be just over 4300 square meters. There are several aspects of the project delivery that are unique to the modular technology. Since a standard approach is used to fabricate and assemble the modules, there is a lower resource loading required of the end user. Expansion is also different for a modular facility. In the case of this standard biotech design, the areas for expansion have already been integrated into the base facility design to ensure good unidirectional flows throughout the expanded facility as well as segregation as required. Expansion also takes place independent of the operation of the plant. Since modules are fabricated off-site, there is no interruption to on-going operations, so the product can be manufactured and distributed throughout the plant expansion. There are many ways to produce biopharmaceutical treatments. While every process is unique and every end user has acceptable guidelines, there are certain standards that can be utilise to provide an off-the-shelf flexible facility that meets the requirements today and can grow to satisfy future demands. 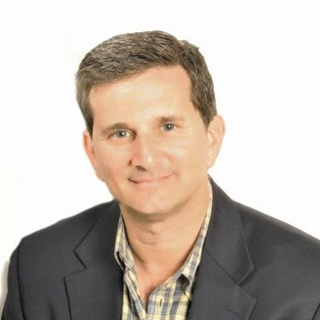 Scott Kaplan is the Senior Director of Project Development for PharmaduleMorimatsu Inc. responsible for clients in North and South America. Supporting the Pharmaceutical Industry since mid-1980s, Scott has experience working with process equipment manufacturers as well as complete project integration including all phases of design, construction and start-up support. Scott began working with Pharmadule in 2004.